Off center turning can be fun and exciting but it can also be a bit wild or scary. The principles in this article can be used to turn off centered goblets, candle sticks, handles and other items. 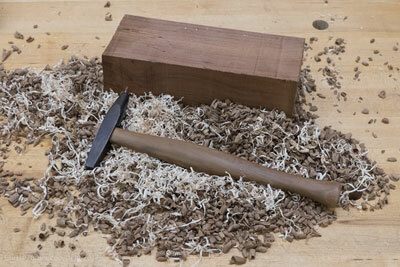 Click here to read how to use the technique of off center turning to turn a replacement handle for a small tack hammer. Click here to read the rest of the July issue of The Highland Woodturner.